Our Pastor – Risen King Reno Sparks – Sharing God's Love with Jesus' Heart and God's Word. Pastor Jim Wallace and his wife Jeanie came to Reno in 1987 from Dallas, Texas, where Jim had just received his Master of Theology degree, a four-year post-graduate degree, in Pastoral Ministries. Dallas Theological Seminary is a non-denominational seminary that emphasizes Bible teaching and studying in the original languages of the Bible. 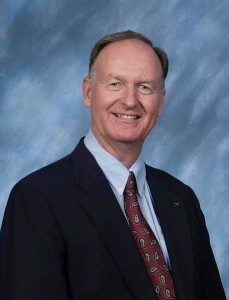 Jim found himself interested in the Seminary as a result of having attended the Evangelical Free Church of Fullerton while it was pastored by Chuck Swindoll. Jim is a native Southern Californian whose primary interests are the outdoors, fishing, physical fitness and his family. He was formerly a writer for the Whittier, California, Daily News and editor for Back to the Bible in Nebraska, where he met Jeanie. Jeanie is a native Nebraskan, a Big Red fan, and also a graduate of Dallas Seminary-with a Master of Arts in Biblical Studies in 1978 (before she met Jim). Jeanie loves sewing, quilting and crafts. Jeanie is a first grade teacher at Esther Bennett Elementary School located in Sun Valley. She also uses those teaching abilities as the head of our Children’s Church and Nursery departments, and actually teaches Sunday School classes herself at least every other Sunday. Pastor Jim is a cancer survivor as a result of many prayers from all over the nation–having had both an extremely rare form of Lymphoma and and a relatively rare form of Leukemia. And though his Leukemia still persists, it is not considered life-threatening, and he still preaches most every Sunday in the church. Jeanie and Jim have three wonderful adult daughters, Abby, Annie and Amanda, who are all members of Risen King. The Wallace family lives in Spanish Springs, the northern part of Sparks. To learn more about Jim Wallace visit www.jamesdwallace.com.